When I moved back to Fort Lincoln in 2013 I grew incredibly frustrated on the lack of coverage, engagement, and updates with community development. Even more concerning was the pace and amount of development which had no input from most existing and the majority of new residents. 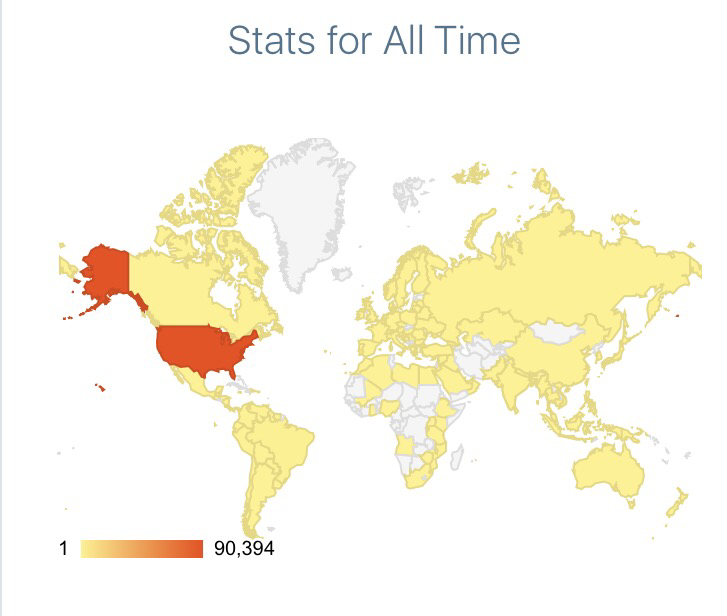 Today, we not only reach our community but communities across the world in 123 countries with over 90,000 views since 2013. While we still have a long way to go, I just wanted to take a moment to reflect on where we started and where we are headed. Part of what will keep us relevant is our ability to be informed residents and I will continuously strive to allow Gatewaytothtecitydc.com to be a platform where residents can get information regarding activity in their community especially as it relates to Fort Lincoln. This is not an opinion blog, although sometimes it gets injected but it is simply a conduit of information for the community to consider and act upon. I now need input from you. What other types of news and updates would you like to see? Is it activity from other developments and communities, more information on meetings, TED Talk info, or more frequent post. Provide me your feedback and I will work with you to get us the information we need. Thanks for the support and I look forward to an exciting 2017! Petsmart to Host First Puppy Love Party @ the Fort Lincoln Store! Come party with Party with Petsmart on Saturday February 11, 2017!!!! There will be Adoptable dogs and cats from @City Dogs Rescue, games, prizes, raffles, SMOOCH A POOCH kissing photo booth, giveaways, free bark bar, human snacks, caricature drawings and much more. They will have a “bone guess” jar game! The pet parents who comes closest to guessing the number of cookies in the jar will get to take the treats home! Our bark bar will have a variety of doggie snacks so your pups will get to sample an assortment of snacks!! Feel free to bring your leashed pets and two legged children are welcome as well! A few lucky participants could even win a $5 or $10 gift card or our “doggie basket” raffle!!! City Dogs/City Kitties will have adorable dogs and cats that are in need of a furrrever home! Come by for a great time and maybe even add a new addition to the family! RSVP for the event using the link below. The store is located in the Shops at Dakota Crossing!